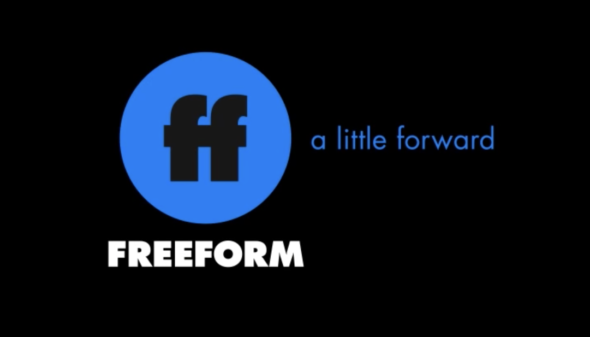 ABC Family Freeform has had a couple very successful scripted shows — and a lot more of the less-successful kind. Which are your favorites? Which of the current TV series will be cancelled or renewed for another season? Stay tuned! Scripted Freeform shows listed: Alone Together, Baby Daddy, Beyond, The Bold Type, Chasing Life, Dead of Summer, Famous In Love, The Fosters, Good Trouble, Grown-ish, Guilt, Kevin from Work, Marvel’s Cloak & Dagger, Melissa & Joey, Mystery Girls, Pretty Little Liars, Pretty Little Liars: The Perfectionists, Ravenswood, Recovery Road, Shadowhunters, Siren, Stitchers, Switched at Birth, Twisted, and Young & Hungry. Updated with the latest ratings for Marvel’s Cloak & Dagger. There’s a lot of data that Freeform execs look at when deciding whether to renew or cancel a TV series but ratings are a major factor. Here’s an updated listing of all of their recent/current primetime scripted shows. Please bring it back love it! Please bring back Mystery Girls…it’s funny and refreshing. Love it. I like both shows, but my favorite is Mystery Girls. It’s a great family show. My favorite right now is Chasing Life. I went into the show didn’t expect anything but it was a pleasant surprise. It’s my highlight on Tuesday nights. I hope it will get renewed for a second season. I agree and hope that ABC Family doesn’t run true to form by cancelling yet again a show that has so many fans. Top shows switched at birth young and hungry very funny melissa and Joey love love baby daddy…. Twisted should be cancelled. The ratings kept dropping, and it only ever did marginally well when it was airing right after PPL. It’s a waste of space, and I’m sure the young cast can get better work elsewhere. Mystery Girls should also go. It’s on the wrong network. For quality, in my opinion, The Foster and Chasing Life are the best. Baby Daddy and Melissa & Joey are good too. +Wendy:Twisted probably would of done better if it was given an actual time slot instead of a time slot that kept bouncing around to no one knowing it was on to watch it. I love most of the ABC FAM TV shows. They’re my guilty pleasure. Fosters, switched, chasing life, young and hungry and twisted. Hate that they’re broken up, season wise. Although I do like the fact that most will have holiday specials…..can’t wait! Hope all my faves get renewed! My favorite shows are The Fosters, Ravenswood and now Chasing Life. I think all three should remain – since the ratings on the network favorite PLL is faltering. Then what you will pull all shows and start again – I’m sure I will definitely stop tuning into this channel why bother. My 6 favorite shows I think need to be renewed is Melissa and Joey, Babby’s Daddy, Switched At Birth, Chasing Liberty, and Mystery Girls. I love all these shows. But my top 3 favorites is Melissa and Joey, Baby’s Daddy and Switched At Birth. I hope and pray all these shows are renewed. Expecially my top favorite 3. To anonymous…. You said 6 and only listed 5…. I haven’t even heard of most of these shows so I don’t watch any of them! @Anonymous By Chasing Liberty do you mean Chasing Life?Chasing Liberty isn’t a tv show but I think it was a movie a few years ago.As for the others,MG ratings are really bad so it’ll most Likley be cancelled.Baby Daddy & M& J have been renewed for a fourth season.Switched at Birth -no word yet. I also like Switched,M&J,Chasing Life.